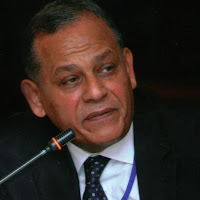 Mr. Anwar El Sadat, President of the Reform & Development Party, expressed great disappointment regarding the statement released by the Speaker of the Parliament, Dr. Ali Abdel Aal, during discussions surrounding youth organizations in a general assembly meeting on Tuesday. Mr. El Sadat said that during the discussion, "a new statement was released that was shocking in its findings, as are many of the reports and statements released as of late." The released statement maintained claims that the youth conferences led by Pr. Abdel-Fatah El Sisi was the only successful effort in youth engagement whereas all other efforts by the political parties failed. The statement said that the President's efforts yielded a larger cadre of youth than all of the efforts of Egypt's political parties combined. Very disheartening, this statement was received with great offense both on behalf of the active parties and the youth that they have worked with. Directly addressing the Speaker of the Parliament, El Sadat pointed out that if The Speaker is unaware of certain realities, a number of things must be made clear. First of all, that the majority of the youth who do attend conferences and events organized by the Presidential office are youth already active in the political sphere both independently and as members of political parties. Secondly, that the Egyptian Constitution and its inherent political processes demand that Egypt's political parties be treated with respect, and that their efforts be both recognized and encouraged, not diminished and marginalized. This respect, El Sadat continued, must be extended under all circumstances. Mr. El Sadat also pointed out that if there is indeed a lack of participation by the political parties in the effort to civically engage and empower citizens yes it is true but it is not without considerable reason. Thirdly, he continued, if we are to praise the efforts of the Presidential Office to engage, and build the capacity of, Egyptian youth, it should not be at the expense of the parties that have exerted an extensive amount of energy to do the same thing for years. It is both an insult to the parties, and to the youth themselves. Fourth, El Sadat stated, if we are to hold that the Presidential Youth Conferences were successful where the parties failed; it is worth noting that other councils have succeeded where Parliament itself has failed. For instance, the National Council for Human Rights has played a significant role in protecting and promoting various human rights through its annual reports and detailed involvement, whereas Parliament has failed to exert any such effort. The National Women's Council has fought to secure many women's rights when Parliament continuously fell short. 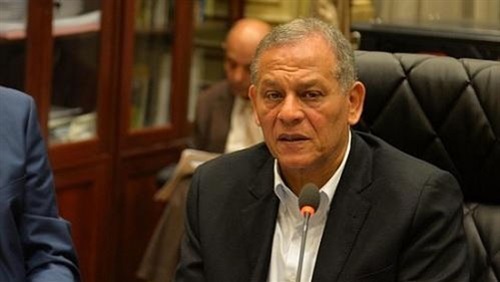 Numerous organizations and councils have fought to improve the living conditions of Egyptian citizens in areas that Parliament has demonstrated its inadequacy in. Fifth, if it is the view of the Speaker of The Parliament that the parties are falling short, it is absolutely his responsibility to address those short comings as head of the Parliament that is made up of those very parties. Parliament should discuss ways to strengthen the parties and how to encourage civic engagement through the parties via reforms and/or new political party laws. Parliament should also form committees and sessions designed to understanding party needs. Parliament should also move to help the 104 political parties currently operating to coordinate and merge so that the number of parties participating in the process are both fewer and stronger. Unfortunately, Parliament has done nothing of the sort and is satisfied with merely disparaging party performance. Mr. El Sadat's sixth and final point to the Speaker of the Parliament was that he personally wished that Parliament did not disregard and disrespect its members and their parties in this fashion. 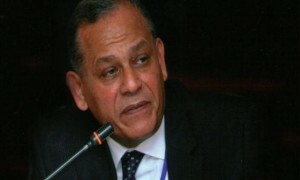 He then urged Members of Parliament to actively refuse to accept such statements as the one made on Tuesday, and reiterated that the Speaker of the Parliament should, in the least, apologize to Egypt's political parties for the offense caused by his statement and the complete disparaging of both the parties and the important roles that they play. أبدى رئيس حزب الاصلاح والتنمية أ/ محمد أنور السادات رفضه الشديد لما صرح به رئيس مجلس النواب د/ على عبد العال أثناء مناقشة مشروع قانون الهيئات الشبابية خلال الجلسة العامة للبرلمان أمس الثلاثاء حين خرج علينا بتصريح جديد صادم كما إعتدنا منه فى موضوعات وقضايا مختلفة فزعم أن مؤتمرات الشباب التى يقوم بها الرئيس عبد الفتاح السيسى نجحت فيما فشلت فيه الأحزاب السياسية وأفرزت كوادر شبابية أكثر مما قامت بصنعه جميع الاحزاب المصرية بما يعد حديثا محبطا وصادماً للأحزاب ولكوادرها الشبابية. وقال السادات موجها كلامه لرئيس مجلس النواب : اذا كنت لا تعلم فهناك من الملاحظات ما يجب أن يضاف إلى معلوماتك أولى هذه الملاحظات أن أغلب مؤتمرات الشباب التى تقوم بها مؤسسة الرئاسة يحضرها كوادر شبابية فعالة من الاحزاب والمستقلين هذه واحدة . أما الثانية فإن الدستور المصرى والنظام السياسى أوجبا إحترام الاحزاب المصرية والتأكيد على أهميتها وتشجيع دورها وليس التقليل من شأنها وتهميش دورها حتى وإن كانت هذه الاحزاب غير متواجدة وغير فعالة فى الشارع المصرى ونحن نعترف بهذا وله أسبابه . ثالثا: إذا كان لنا أن نمتدح قيام الرئيس بعقد لقاءات دورية مع الشباب ونثنى على حرصه على ذلك وأيضا على نتائج تلك اللقاءات والمؤتمرات فيجب آلا يكون ذلك على حساب الاحزاب التى تجتهد والكوادر الشبابية التى أعدت فنثنى على الناتج ونهين من أنتج . رابعا : ولأن الشىء بالشىء يذكر فإذا كانت مؤتمرات الشباب نجحت فيما فشلت فيه الأحزاب فهناك أيضا من المجالس من نجحوا فيما فشل فيه مجلس النواب فعلى سبيل المثال فقد تصدى المجلس القومى لحقوق الانسان لقضايا الحقوق والحريات فى تقاريره السنوية ولعب دورا يفوق بكثير ما قام به مجلس النواب كما إنتصر المجلس القومى للمرأة لقضايا ومطالب المرأة المصرية فى حين لم يقدم البرلمان نتاجا مرضيا فى هذا الشأن بل قد عالجت مجالس ومؤسسات مجتمعية قضايا معيشية كثيرة لم ينجح البرلمان فى التصدى وإيجاد حلول مناسبة لها . خامسا : كان على رئيس البرلمان طالما يرى الأحزاب على هذا الحال أن يضطلع بدوره ويناقش تلك القضية كأحد أهم القضايا التى تقع فى صلب النظام السياسى بل فى تشكيلة المجلس الذى يرأسه فيبدأ البرلمان فى مناقشة كيفية تقوية الأحزاب وجذب المواطنين إلى العمل الحزبى من خلال تشريعات جديدة أو تعديلات على قانون الأحزاب وعمل جلسات إستماع وتشكيل لجان لإستطلاع الرأى وبحث ما اذا كانت هناك فرصة لتقليل عدد 104 حزب من خلال الإندماجات ليكون لدينا عدد أقل كعشرة أحزاب يمثلون اتجاهات سياسية مختلفة للآسف لم يقم البرلمان بأى من ذلك بل إكتفى بإنتقاد الظاهرة دون وضع آليات وأفكار وحلول . أما سادسا وأخيرا فكنت أتمنى آلا تكون هذه هى نظرة مجلس النواب ممثلا فى رئيسه للأحزاب المصرية التى أخرجت نوابا يمثلون الشعب المصرى تحت قبة هذا المجلس وكان علي هؤلاء النواب أن ينتفضوا رفضا لمثل هذه التصريحات ولذا فإن أقل ما يجب على رئيس مجلس النواب أن يعتذرللأحزاب المصرية لما تضمنه حديثه من إساءة بالغة للأحزاب وتقليلا من شأنهم وأهمية دورهم فى الحياة السياسية المصرية. We hope that this finds you in the best of health and circumstance. In light of our previous communication and the upcoming start of the Commission's meetings, we are writing to express our concerns regarding the integrity and impartiality of next year's Presidential Elections. It has become apparent to us that groups and individuals have used both media exposure and party campaigns to collect signatures for the (Alashan Tebneha) pro-El Sisi forms that have been circulating throughout the public. These campaigns were even permitted to enter government buildings in order to collect signatures from employees and the public alike. The unchecked campaigning methods of the (Alashan Tebneha) effort are neither acceptable nor legal as we are no longer in a state of revolution during which designated authority is derived from million man marches and similar expressions of popular demand. This effort to overwhelm the public with a visible amassing of the people's support for the President's second term undermines the integrity of our elections, of our institutions, as well as the very legitimacy of our Constitutional Laws. In our astonishment at the campaign methods being employed, we utilized our party resources to create a similar signature driven campaign for a presidential candidate representing our party called (Benheb El Sadat). When our campaigners tried to enter government buildings to collect signatures just as the advocators of (Alashan Tebneha) did, our campaigners were neither allowed to collect signatures nor be present on the premises. In fact, our campaigners were harassed both by security officers and senior officials and were told that we were denied on the basis that elections had not yet began, and that we were currently in a state of emergency. Unfortunately, the integrity of those very government buildings and the institutions that they belong to have come into question. The results of our experiment demonstrated the inequality and bias apparent in our current political atmosphere, as well as the odds that stand against potential candidates in the 2018 presidential election. It is in this regard that we are requesting that the Commission issue a public statement affirming that these ad hoc campaigns to renew the President's term are both against the law and in violation of the Constitution. We also request that the Commission call on these campaigns to come to a stop as they clearly undermine the integrity of the upcoming elections. We hope that our request is received in good faith as it is sent with the utmost respect for the Commission's dedication and integrity. إلحاقاً لخطابنا لسيادتكم بمناسبة بدء اجتماعات الهيئة الوطنية للإعداد للانتخابات الرئاسية لعام 2018 وحرصاً منا على نزاهة وحيادية إجراءاتها ، فقد تلاحظ لنا من خلال وسائل الإعلام والحملات الحزبية والبرلمانية بأماكن تجمع المواطنين قيام بعض المنتمين لحملة "علشان تبنيها" في كل محافظات مصربتوزيع وتجميع استمارات والسماح لهم بدخول المصالح الحكومية للحصول على توقيعات المواطنين والعاملين بها، وهو أمر غير مفهوم وغير قانونى حيث أننا لسنا في حالة ثورية حتى يحتاج أي مرشح إلى استمارات لدعوته للترشح أو للحشد الشعبي ومليونيات بالميادين لتفويضه ونزوله للإنتخابات في ظل أوضاع مستقرة وشرعية دستورية لمؤسسات الدولة. ونظراً لإندهاشنا من هذه الظاهرة وللتأكد من حيادية أجهزة الأمن والمصالح الحكومية فقد كلفنا بعض من مؤيدينا وكوادرنا الحزبية في بعض المحافظات لعمل استمارات مماثلة لمرشحنا تحت مسمى " بنحب السادات " فلم يتم السماح لهم بجمع توقيعات أو التواجد في هذه المصالح بل تم تهديدهم والتحرش بهم من قبل مندوبي أجهزة الأمن ومسئولي هذه المصالح بحجة أن الانتخابات لم تبدأ وأننا في حالة طوارئ والتى من المفترض أن يتم تطبيقها على جميع المرشحين دون استثناء. ونظرا لأن ما يحدث يعد إخلالا بمبدأ تكافؤ الفرص ويؤكد بما لا يدع مجالا للشك أن هناك تمييزواضح بين من ينتوون الترشح لرئاسة الجمهورية لعام 2018 فإننا نطالب الهيئة الوطنية للإنتخابات بإصدار بيان للرأي العام يوضح أن ما يحدث مخالفا للقانون والدستور ويدعو لأن تتوقف مثل هذه الحملات لأنها تؤثر في صحة إجراءات الانتخابات الرئاسية القادمة.
" وتفضلوا سيادتكم بقبول وافر الاحترام والتقدير"
Mr. Mohamed Anwar El Sadat, President of the Reform & Development Party, affirms that the numerous campaigns being launched to renew the Presidency of President El Sisi for a second term undoubtedly has a negative impact on the current political atmosphere. El Sadat expresses his concerns that these campaigns will further alienate potential candidates and voters alike, making candidates increasingly reluctant to run for office and voters apathetic to the election process. El Sadat acknowledges that while some of these campaigns may be launched out of genuine support for the President, other campaigns may be launched as part of an effort by certain institutions to determine the President's current approval rates. Either way, El Sadat reiterates that these campaigns are generating a general feeling of helplessness within an atmosphere indicative of an inevitable second term for the President. So widespread are these campaigns that voters are exposed to an overwhelming assertion of the President's continuance into a second term, thereby diminishing the possibility of any real political competition. 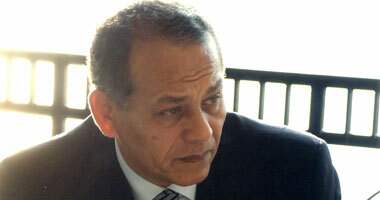 El Sadat warns that the continued manipulation of public opinion, the excess use of media coverage, and the use of celebrities to overwhelm the public with a visible support for the President's second term is creating a stagnant political atmosphere in which political competition is hesitant at best. أكد أ/ محمد أنور السادات " رئيس حزب الإصلاح والتنمية " أن إنطلاق حملات لدعوة الرئيس السيسى للترشح لفترة رئاسية ثانية كحملة " علشان تبنيها " وغيرها من الحملات المماثلة وربما تنطلق دعوات قريبا لمليونية أمام الإتحادية كل هذا سوف يؤثر سلبا على المناخ السياسى فى مصر وسوف يزيد حالة العزوف والإحجام عن الترشح لمنافسة الرئيس السيسى فى الإنتخابات أكثر مما نحن عليه الآن . وسوف يؤدى أيضا إلى عزوف الناخبين عن النزول للإدلاء بأصواتهم فى الإنتخابات القادمة. وأوضح السادات أنه سواء كانت هذه الحملات مدعومة من مؤسسات بعينها لإختبار شعبية الرئيس أو من بعض المجاملين ومع إفتراضنا الكامل لحسن النوايا وإحترام رغبة البعض فى دعوة الرئيس للترشح لفترة رئاسية ثانية تقديرا لدوره ومجهوداته فإن هذه الحملات تشعر كثيرين بأن الأمرأصبح محسوم وأن الرأى العام إستبق نتائج الصندوق ومن هنا لا داعى للمنافسة ويمكننا توفير المال والجهد ومبايعة الرئيس أو إجراء إستفتاء على إستمراره دون إنتخابات. أشار السادات إلى أن هذا النهج وتهيئة الرأى العام من خلال هذه الحملة ومثيلاتها والتغطية المكثفة لها في وسائل الإعلام المصرية على مختلف أنواعها، وسط انتشار لصور وأخبار توقيع مشاهير على استمارة الحملة كل هذه الأجواء سوف تجعل أى ممن ينتوون الترشح يقفون ما بين العزوف والتردد. في يوم نظر استئناف تجديد حبسهم، وبعد مطالبة 11 نقابة مستقلة بالإفراج عن 7 من أعضاء نقابة الضرائب العقارية و2 من العاملين بالكهرباء، طالب عدد من الشخصيات السياسية والنقابية والحقوقية بالإفراج عن المحبوسين التسعة، على ذمة اتهامهم بالتحريض على التظاهر، وضرورة إحكام لغة الحوار والتفاوض، مع العمال وممثليهم النقابيين. يقول جورج إسحق عضو المجلس القومي لحقوق الإنسان، إن الإفراج عن النقابيين التسعة لم يكن مطلبًا خاصًا بهم فقط، بل بضرورة تأكيد عدم جواز ملاحقة النقابيين أمنيًا، وعلى مشروعية عملهم الذي اتبعوا فيه الدستور والقانون والمواثيق الدولية. وتابع إسحق لـ«التحرير»: المجلس القومي يقف إلى جانبهم ويشُد على أيديهم ويدعمهم، ويؤكد أن الالتزام بالقانون هو الأساس الذي اتبعه النقابيون المحبوسون إلى الآن، والخلاف معهم كان لابد ألا يصل لجدران السجون، كما أشار إلى ضرورة تجنب المخاطر التي يواجهها العمل النقابي هذه الفترة، بإصدار قانون يكفل حرية العمل النقابي وإنشاء النقابات دون قيود. ومن جانبه انتقد كمال أبو عيطة مستشار نقابة الضرائب العقارية ووزير القوى العاملة الأسبق، التصريحات التي ترددت عن وجود دعوات لقبول مبادرة انضمام النقابات المستقلة للاتحاد العام ، وأضاف أن: النقابات المستقلة الحقيقية التي تعمل على أرض الواقع، أعضاؤها إما في السجون وإما ممنوعون من تنظيم ندواتهم ومؤتمراتهم، أو تم فصلهم من العمل بسبب عملهم النقابي. وأكد عيطة لـ«التحرير» أن زملائه رغم تأخر موعد خروجهم حتى الآن لن يتركوا العمل النقابي أبدًا، وأنهم دائمًا متابعون لأوضاع زملائهم ويؤكدون ثبات موقفهم حتى الخروج من محبسهم. وطالب أبو عيطة من الذين يرددون تصريحات عن مبادرة انضمام النقابات المستقلة، أن يطالبوا أولًا بالإفراج عن العمال التي تنشأ النقابات من أجلهم -كما ذكر- معلقًا: النقابات التي يتحدثوا عنها بلا أعضاء، فليطالبوا أولًا بخروج النقابيين ثم يتحدثوا عن الانضمامات والانتخابات، إن كان لديهم قاعدة عمالية أصلًا. ومن جانبه طالب محمد أنور السادات رئيس حزب الإصلاح والتنمية، بالإفراج عن القيادات النقابية، مشيرًا إلى أنهم لم يرتكبوا جُرمًا وخاصًة أن زميليهم المتقدمين بطلب تنظيم الوقفة الاحتجاجية من مصلحة الضرائب العامة، لم يخالفوا القانون وقاموا بما نص عليه قانون التظاهر في شأن تنظيم الوقفة الاحتجاجية. وأضاف السادات أنه يتمنى ألا يلتفت القاضي مرة أخرى لاستئناف النيابة على قرار إخلاء السبيل الصادر بحق النقابيين، مشيرًا إلى أنه تفاءل بالتجمع الذي تمت الدعوة له بحضور عدد من النقابات المستقلة، مشيرًا إلى أنها تمثل دعمًا للمحبوسين وتؤكد أحقيتهم في إنشاء نقابات وانتخاب ممثليهم وفقًا للمواثيق الدولية. وشدد كمال عباس المنسق العام لدار الخدمات النقابية والعمالية على أن قضية النقابيين التسعة لاقت تضامنًا دوليًا واسعًا، وأن التضامن جاء لأن أزمة النقابيين تكمن في مطالبتهم بتنفيذ القانون ومع ذلك تتم معاقبتهم بالرغم من أنهم لم يسلكوا سوى الطريق القانون والمَسلَك السلمي. وأضاف عباس لـ«التحرير» أن مؤتمر النقابات المصرية الديمقراطية الذي تم الإعلان عنه وتدشينه بمؤتمر أمس الأحد، جاء ليؤكد تماسك النقابات المستقلة وتأكيدها الاستمرار في مواجهة الهجمة الشرسة -كما وصفها- على النقابات المستقلة والقائمين عليها، مشيرًا إلى أن المؤتمر سيعمل على تقديم بديل لقانون التنظيمات النقابية المقدم من الحكومة، لتأكيد التمسك بالحق في إنشاء النقابات المستقلة وفقًا لما ينص عليه الدستور والمواثيق الدولية. وقررت محكمة طنطا الابتدائية أمس الأحد إخلاء سبيل 9 من أعضاء نقابة الضرائب العقارية والعاملين بالكهرباء، لكن النيابة استأنفت وتم تحديد جلسة اليوم الإثنين لنظر الاستئناف. وكانت المحكمة قررت في 3 أكتوبر الجاري، تجديد حبس 9 من العاملين بالضرائب العقارية، بينهم 2 من العاملين بالكهرباء، وذلك على ذمة اتهامهم بالتحريض على التظاهر في المحضر رقم 12004 إداري كفر الزيات لسنة 2017. ويُشار إلى أن عدد المقبوض على ذمة القضية 11 نقابيا، 2 منهم بالقاهرة -تم إخلاء سبيلهما- و9 آخرين، وذلك على ذمة المحضرين على حسب الترتيب الأول رقم 13764 لسنة 2017 جنح العمرانية، والثاني 12004 لسنة 2017 إداري كفر الزيات.
" رئيس الهيئة الوطنية للإنتخابات "
1- مع قرب عقد الإنتخابات الرئاسية فى بداية عام 2018 أرجو التفضل بمخاطبة مجلس النواب لإتاحة الفرصة لمن ينتوى الترشح باللقاء والتواصل مع السادة نواب المجلس للحصول على توقيعاتهم حسب نص المادة 142 من الدستور وكذلك مخاطبة السيد المستشار/ وزير العدل بإرسال كتاب دورى لكل مكاتب الشهر العقارى على مستوى الجمهورية لعدم تعطيل أو عرقلة المواطنين لإصدار توكيلات المرشحين للرئاسة أو مندوبيهم وعدم السماح لمندوبى وممثلى الأجهزة الأمنية بالتواجد حولهم لترهيب وتخويف المواطنين لعدم إستكمال توكيلاتهم. 2- مخاطبة السيد رئيس الجمهورية ورئيس مجلس النواب بضرورة عدم مد حالة الطوارىء لفترة أخرى حيث أنه يستحيل إجراء إنتخابات رئاسية فى ظل وجودها بما قد يؤثر على سير الحملات وأيضا سلامة وأمان المندوبين والمتطوعين للمرشحين المتنافسين .ولحماية منظمى وحضور التجمعات والمواكب والمؤتمرات وحملات طرق الأبواب وغيرها من صور الدعاية الإنتخابية من التعرض للترهيب أو مواجهة أى عقبات.
" وتفضلوا بقبول فائق التحية والإحترام "
ماذا بعد تقييد حرية الرأى والتعبير وفرض الرأى الواحد وتكميم الأفواه وضمور الحياة السياسية وإقتلاع مؤسسات المجتمع المدنى وتأميم الإعلام ؟ سنوات ست وشهور مضت منذ لحظة الخامس والعشرين من يناير2011 مر فيها الوطن بتجارب سياسية واجتماعية كثيرة لم يمر بمثيلاتها من قبل ماذا تعلمت السلطة ؟ ماذا تغير ؟ وكأن مصر قد كتب عليها أن تدور فى فلك واحد يبدأ بالظلم والمعاناة ثم يلوح الأمل مع فجر تجربة جديدة نتفاعل معها بكل ما نملك ثم يتلاشى الوهم ويتبدد الأمل ثم نعود إلى نقطة البداية مرة ثانية إنه إطار واحد لا يتغير. ألم يحن الوقت لندرك أن مفهوم السياسية أوسع بكثير من مفهوم الأمن وأن تكميم الأفواه لا يمنع العقول من التفكير وأن العبرة ليست بالخلفية العسكرية أو المدنية للرئيس وإنما بالتقاليد والقيم السياسية التى يتبناها وبالمؤسسات التى تدار بها البلاد وأن الاستئثار بالسلطة لم يدوم لأحد وأن الوطن هو الباقى والعمل من أجله هو سبيل لحياة أجيال كثيرة قادمة . كيف لمصر أن تنهض ونصوص القوانين والدستور شئ والواقع وما يتم تطبيقه شئ آخر وكيف لمناخ سياسى جيد أن يكون فى غياب الكوادر والقيادات والنخبة ووسط كل هذه الأمراض التى تعانيها الحياة الحزبية . إن الرحلة ما بين الدولة السلطوية التي يحكمها أهواء قلة من أفرادها وينعم بخيراتها شريحة محدودة من مواطنيها ويظل الباقين بين فكى الفقر والجهل ونهب ثرواتها ويجوع أطفالها وما بين الدولة المدنية الحديثة التى ينعم جميع مواطنيها بنفس الحقوق والواجبات وتوزع خيراتها توزيع عادل ويعيش سكانها بكرامة وحرية هي رحلة طويلة ولكنها رحلة حتمية. لهذه الرحلة طريقين كلاهما صعب . الطريق الأول هو أن تفشل الدولة السلطوية في تلبية احتياجات مواطنيها وتطلعاتهم وتحاصرها الصراعات الداخلية بين الفئة الحاكمة والمواطنين ويزداد فيها الفساد حتى تعجز الدولة عن الاستمرار وتنهار ثم يبدأ بعد ذلك مشوار طويل لإعادة بناء الدولة بطريقة ديمقراطية على أسس ومبادىء. أما الطريق الثانى الذى يبدو أصعب. هو أن يرسخ الحاكم هذه المبادئ ويحمى الدولة من الانهيار ويبدأ بإتخاذ إجراءات من شأنها إرساء قواعد الدولة الحديثة وبناء المؤسسات وعلى رأسها استقلال النظام القضائي سيادة القانون والاعتراف بشركاء الوطن من الفئات المختلفة وخاصة المجتمع المدني وتقدير دورهم وتنظيم عملهم فضلا عن التوزيع العادل للثروة والقضاء على الفساد واحترام حقوق الانسان. إلى أين نتجه؟ ومتى سوف ندرك أننا وإن كنا نجحنا فى وضع دستور يصلح لبناء دولة مدنية حديثة وأجرينا انتخابات رئاسية وبرلمانية لكن الممارسات السياسية التى تلت ذلك لم ترقى للمستوى المطلوب لبناء دولة ديمقراطية حديثة . فمتى سوف توجد إرادة حقيقية ورغبة من الفئة الحاكمة لأن تسمع أو حتى تتكلم مع من يخالفها الرأى وينصحها بالإصلاح والتغيير. إنه نداء قبل فوات الأوان كى نحسن اختيار الطريق وندرك إلى أين نسير.